Hull Unitarian Church is a liberal religious community located at Chamberlain House, Park Street, Hull. 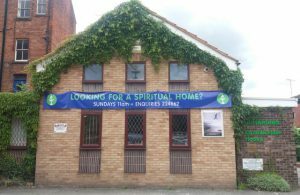 Hull Unitarian Church is a place where people with diverse understandings of what’s holy and meaningful can come together to learn and grow in a spirit of freedom and responsibility. We are inspired in our living by the truths of science and reason, the teachings of the world’s many religions and our own personal experiences. We are people of many beliefs, cultures, genders, races, sexual orientations, economic backgrounds and physical abilities. United by our shared values of respect and compassion for all people, we are committed to building a world defined by justice and love for all. by exploring the vast reaches of our minds and spirit. You are welcome if you share with us an open mind and you are tolerant, inclusive and embrace the freedom of being in a faith community that takes a reasoned approach, without imposing creeds or specific beliefs. You are most welcome to join us for worship at Chamberlain House every Sunday at 11 am or to participate in guided meditation from 2:30pm every Thursday. We also have a Friday gathering for fellowship from 10.30 am to noon when we raise funds for charities. Contact us for further information. Please click on the links at the top of this page for further information about our community, our work, our life, and our worship. Please also have a look at the Unitarians in Britain website: Unitarians in Britain. Hull Unitarians are a member congregation of the General Assembly of Unitarian and Free Christian Churches.